We are specialists in the printing of large format graphics for vehicular application. 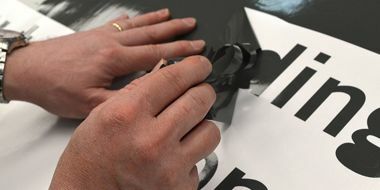 For over 25 years BP Rolls Signs & Graphics have provided a one-stop vehicle branding solution, ensuring maximum impact for the communication of your brand. Our purpose built studio in Andover, Hampshire is equipped with the latest technology, including full colour wide format digital printers, vinyl cutting facilities and roll-to-roll laminating machines. We have a highly skilled team of designers, printers, cutters and applicators who are all experienced at working with a variety of vehicles. Your brand is one of your most important business tools and what better way to maximise exposure than using your business fleet. Vehicle livery is a fantastic way of optimizing your brand visibility and making an impact whenever your fleet are on the road. 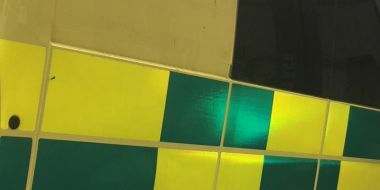 Graphics can be applied to vehicles of all sizes using a number of different materials and techniques to suit your budget and time constraints. We are renown for producing high specification graphics for home delivery vehicles. 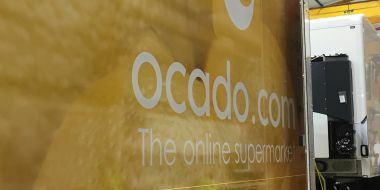 Trusted by some of the UK’s busiest home shopping fleets, our clients include the likes of Ocado, Asda, Iceland, Tesco and Fowler Welch, so you can rest assured that BP Rolls Signs & Graphics produce a quality finish with minimal downtime. BP Rolls can supply, fit and maintain retro-reflective markings on vehicles of any size, from trailers and mixers, to car transporters, refuse vehicles and skip loaders. The markers that we use conform to the UK RVLR and European standards and are made of high quality and durable materials. Vehicle signage can be as simple or as complex as you like, depending on your budget and whether you want a cut vinyl small logo, or a full colour wrap. BP Rolls Signs and Graphics can cater for your needs, providing a branding solution for all kinds of vehicles from smart cars to HGV trailers and everything in between. Here are a few frequently asked questions to help guide you through the design and application process. If you need any more information, please do not hesitate to get in touch with the team either by completing the online form or call 01264 361516. Our Signs & Graphics team have a vast amount of knowledge and experience in the design, print and application of graphics to all kinds of vehicles, and will be happy to talk through your requirements.